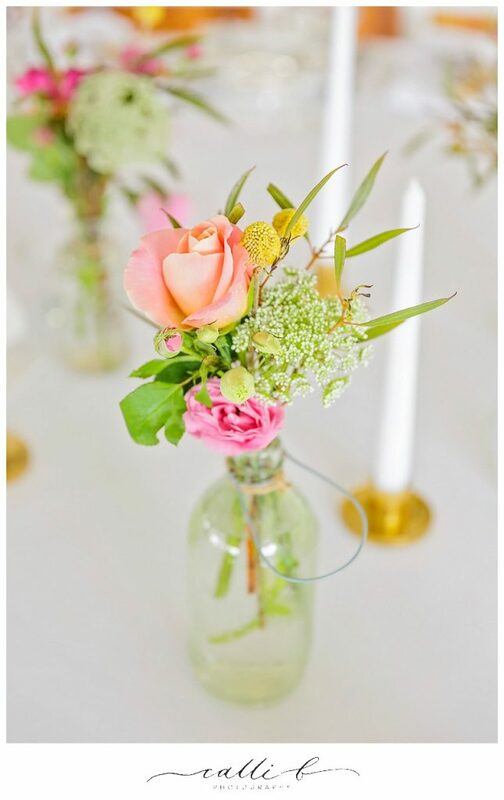 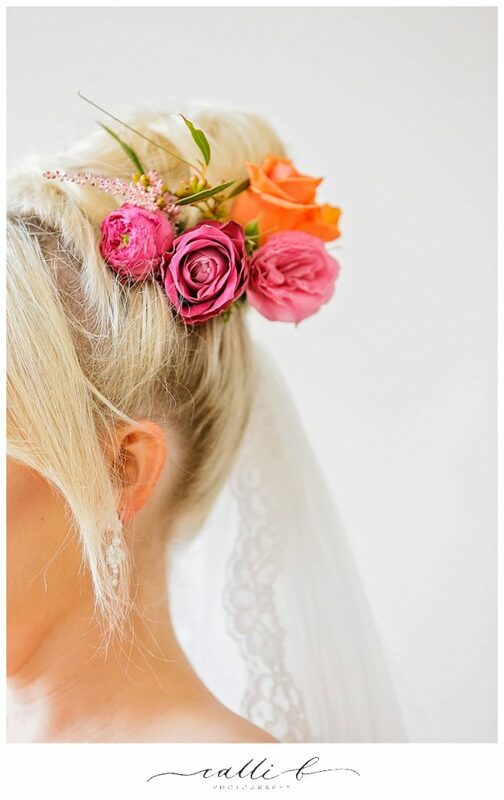 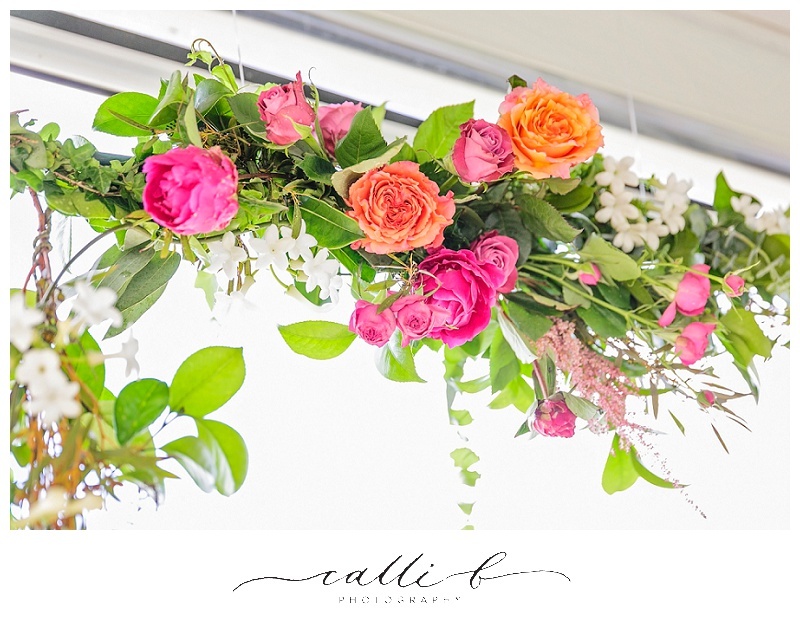 One of the most difficult decisions that my clients often face when considering their colour palette for wedding flowers, is whether to feature colour or not! 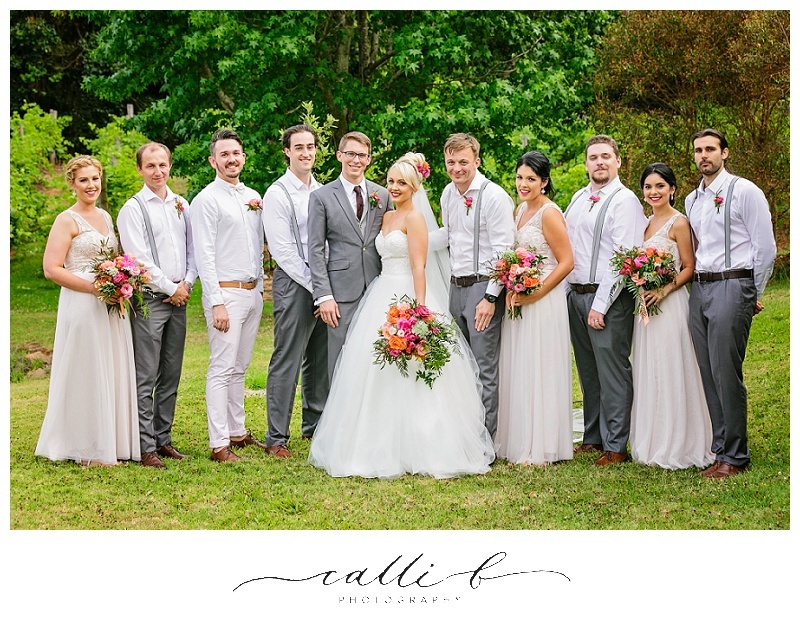 I can’t tell you the amount of times my lovely clients seem to put themselves into a tail spin over the choice of considering colour versus a neutral white palatte, it is most definately one of the more challenging decisions to make. 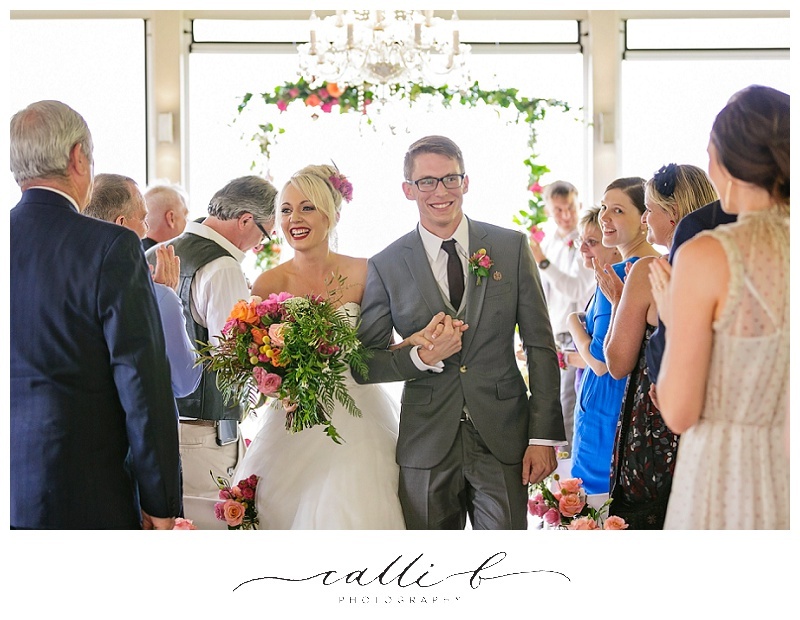 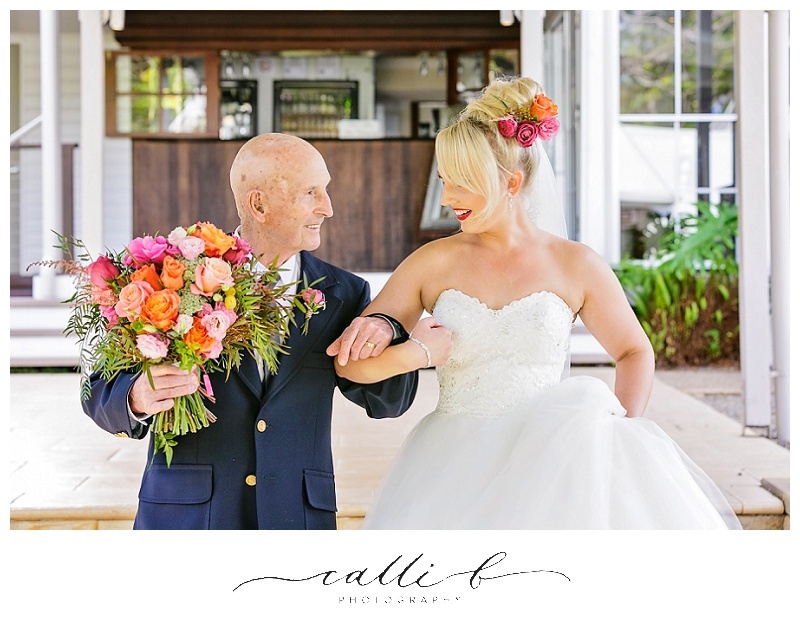 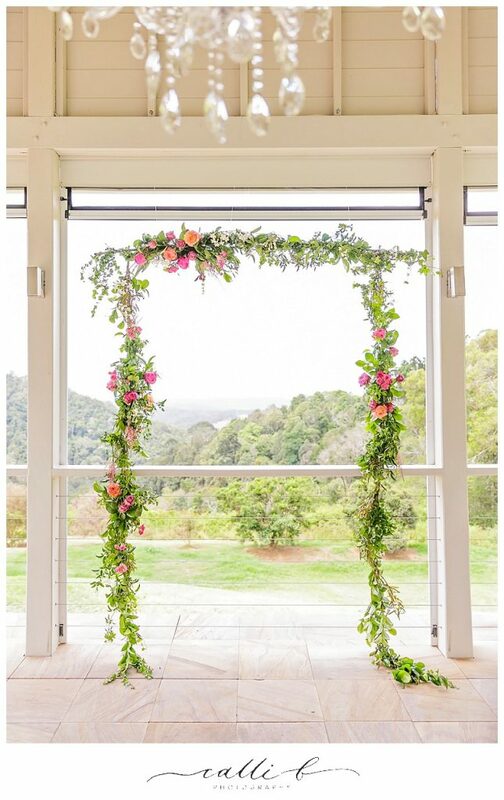 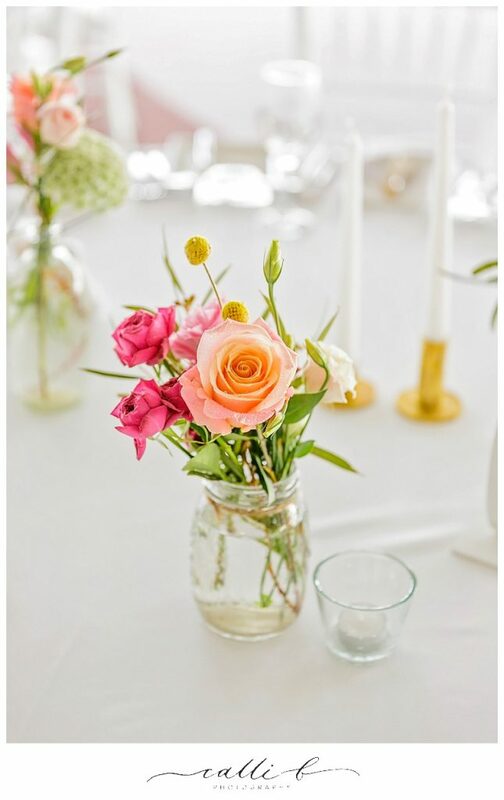 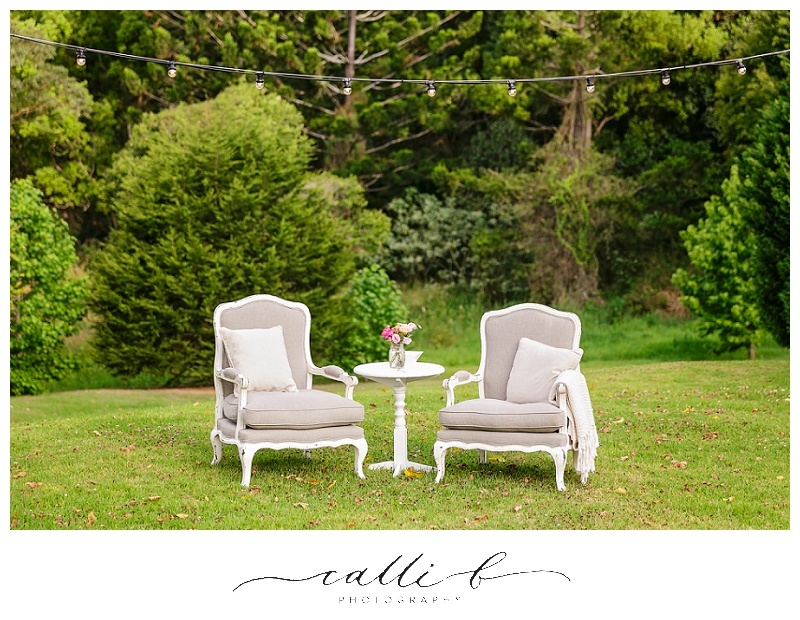 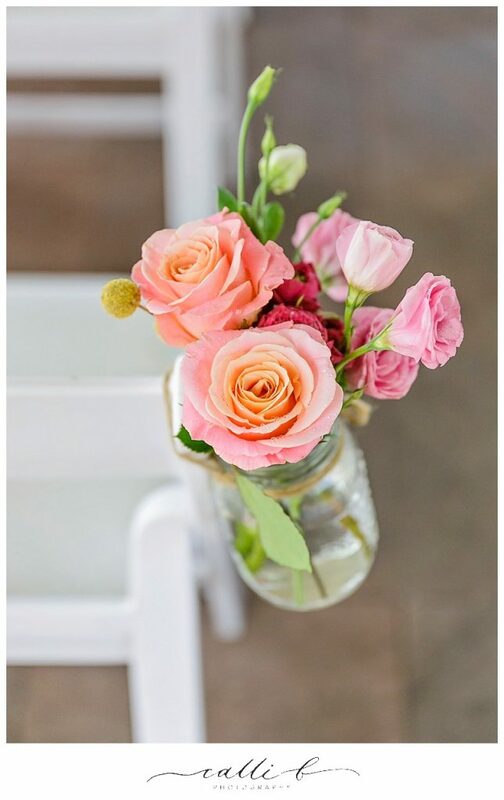 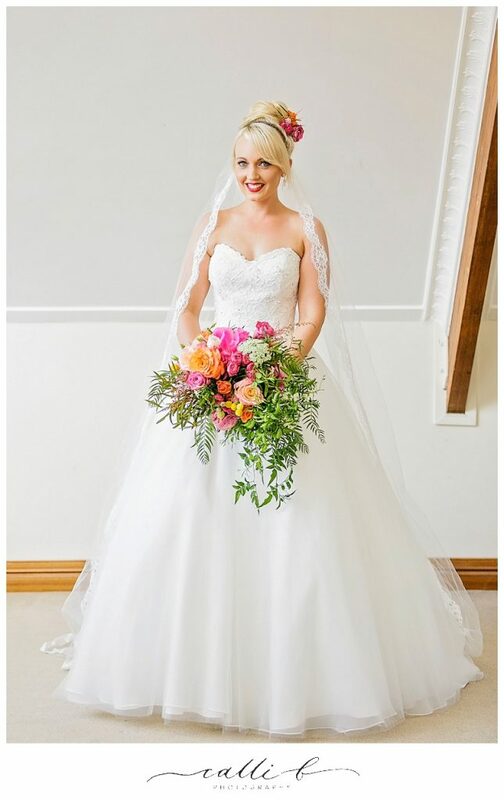 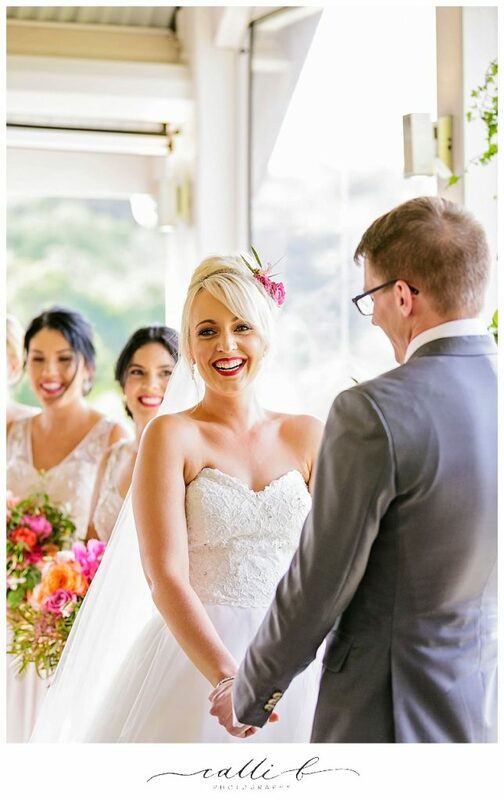 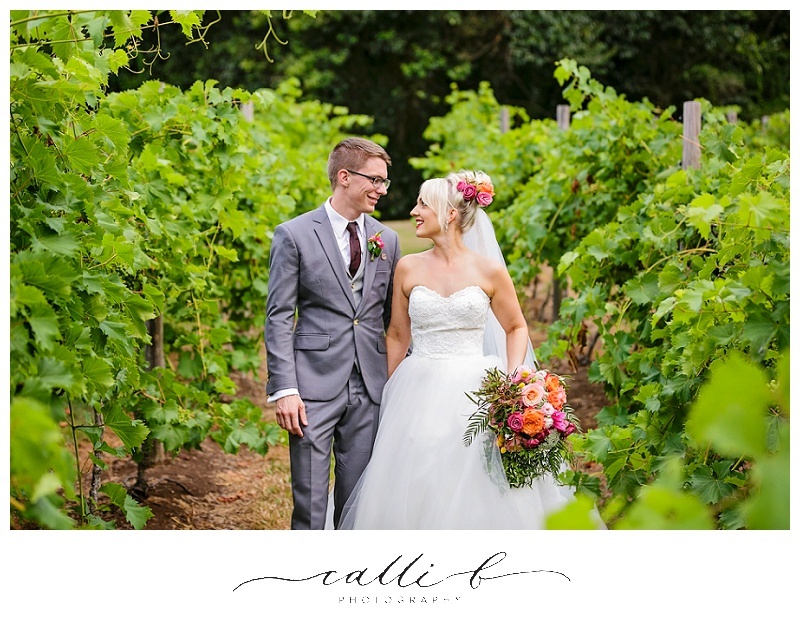 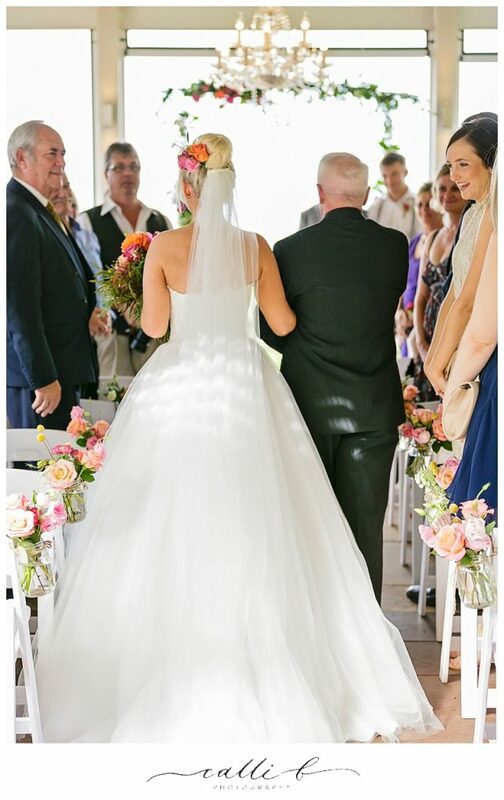 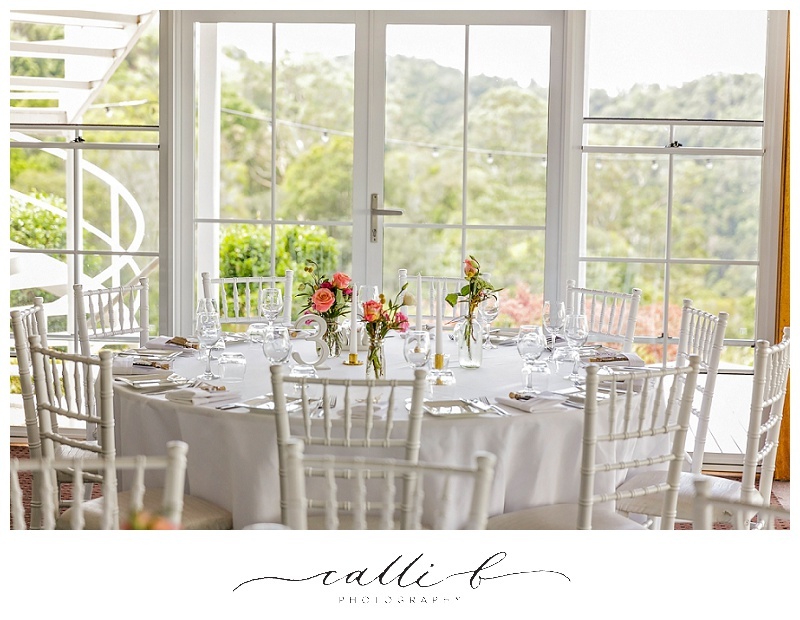 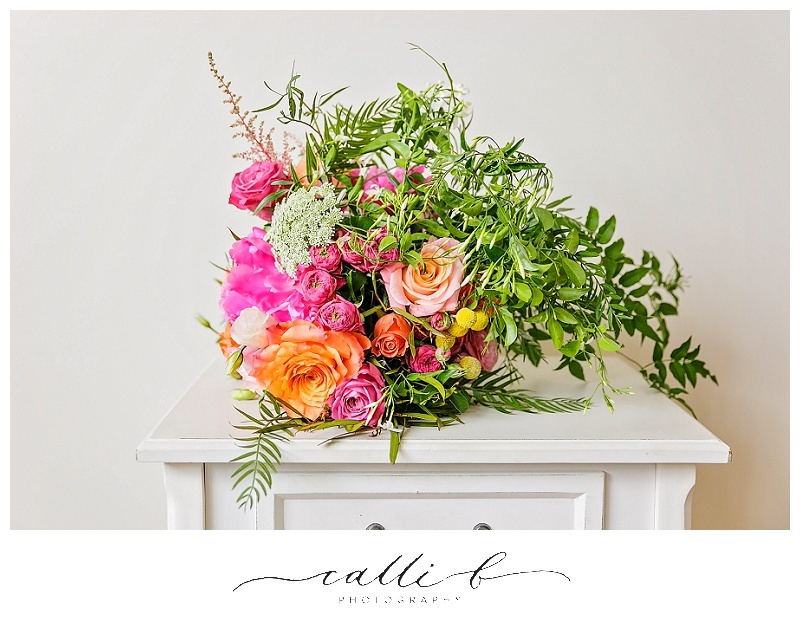 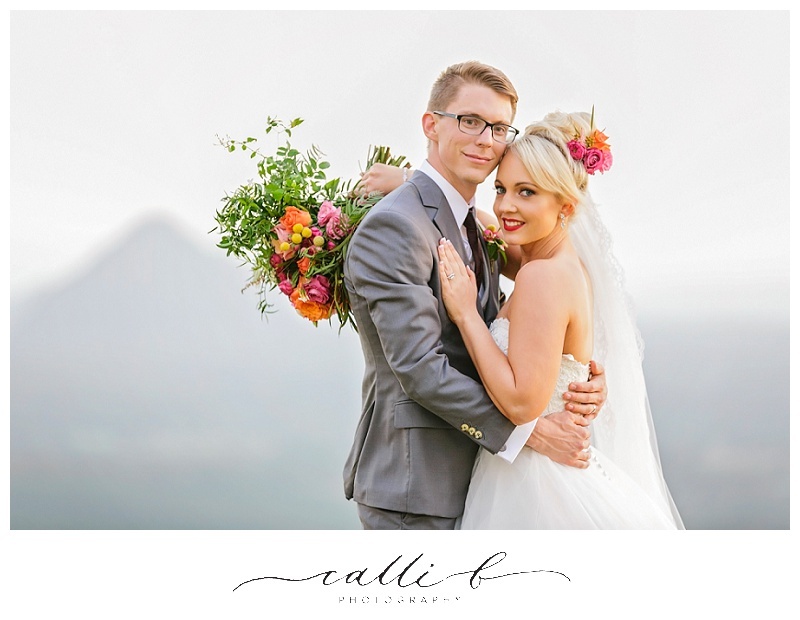 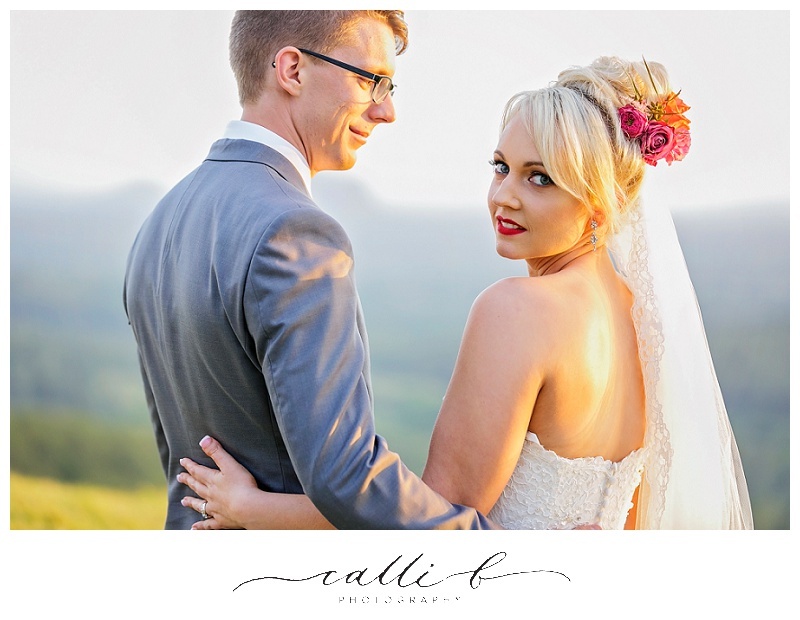 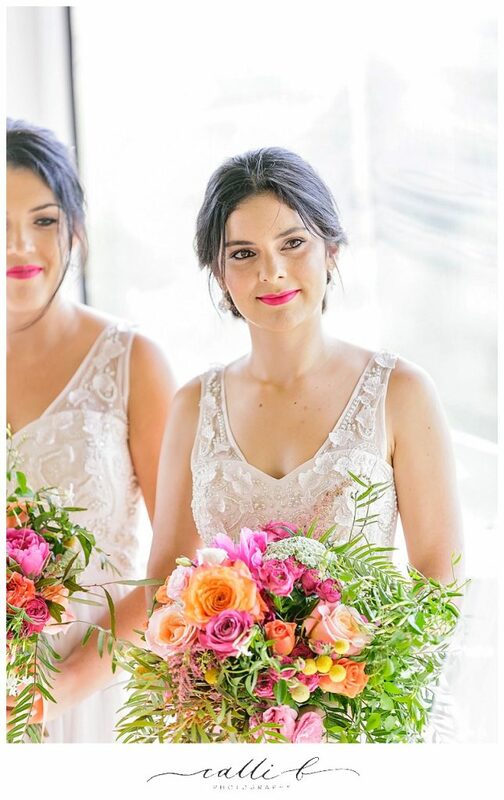 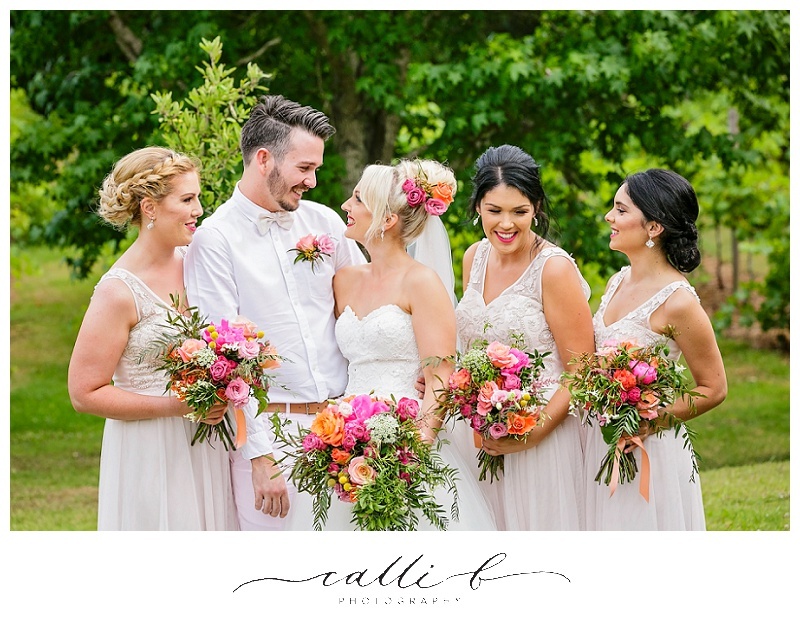 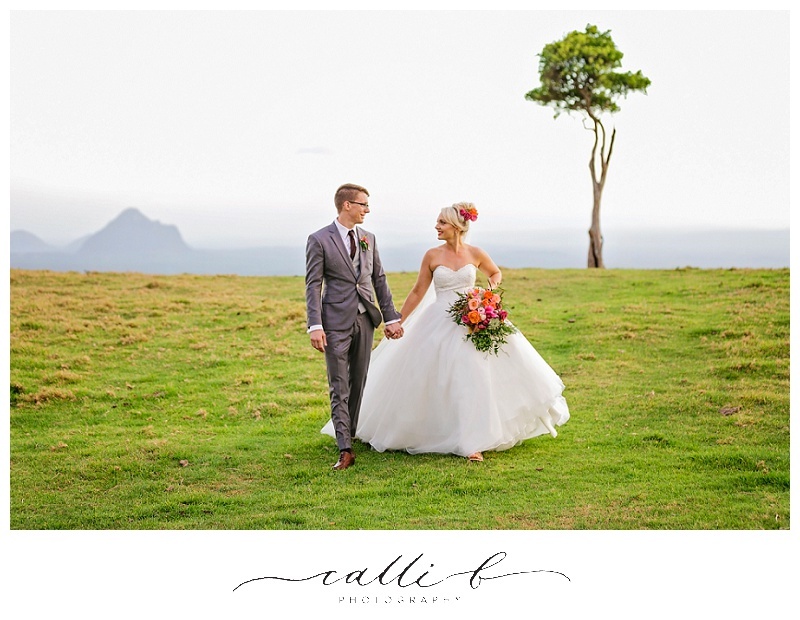 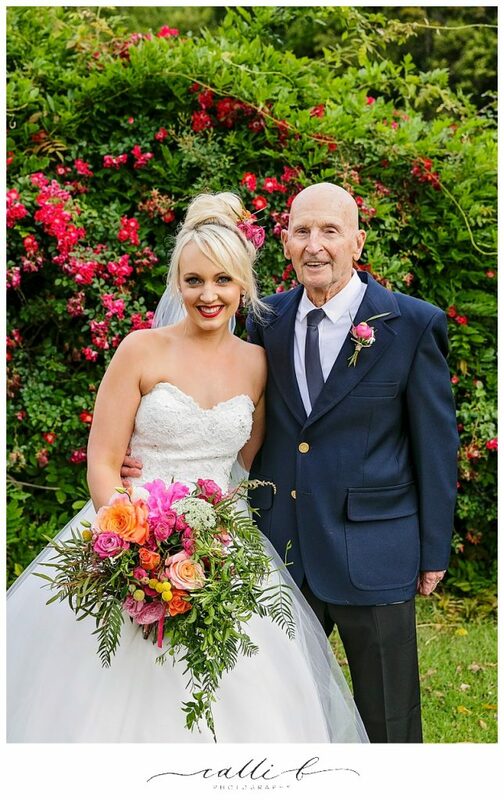 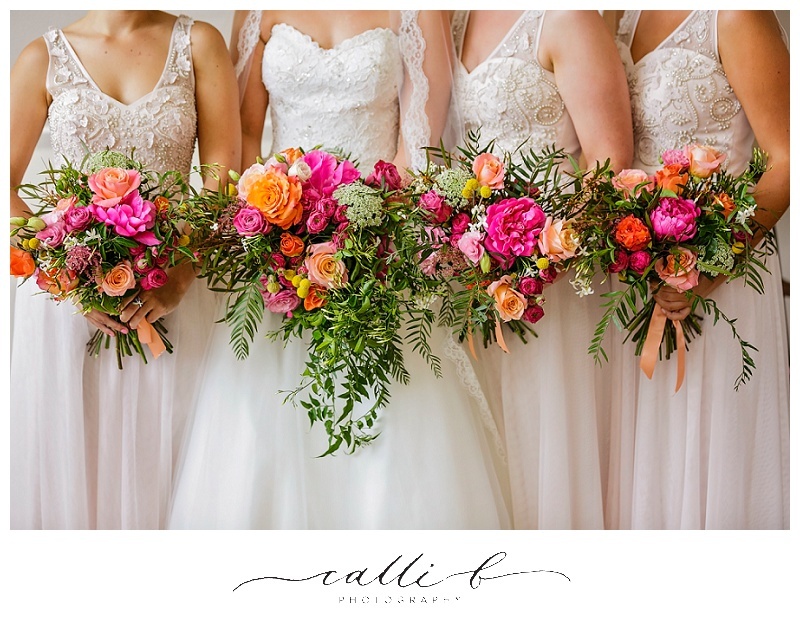 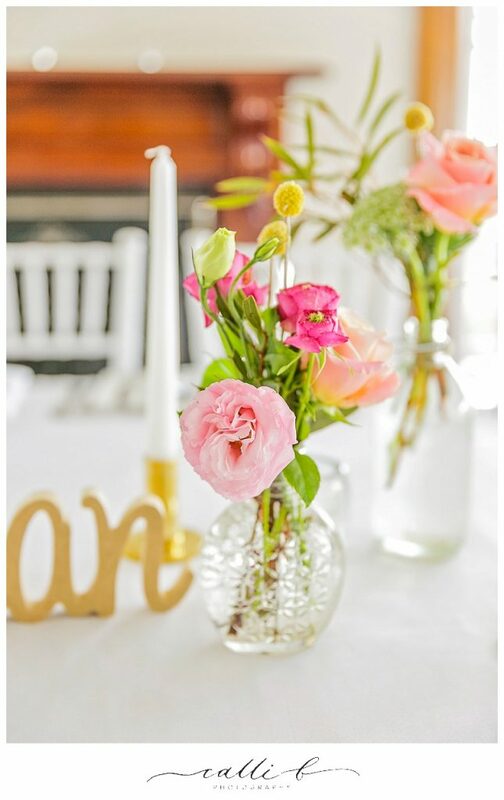 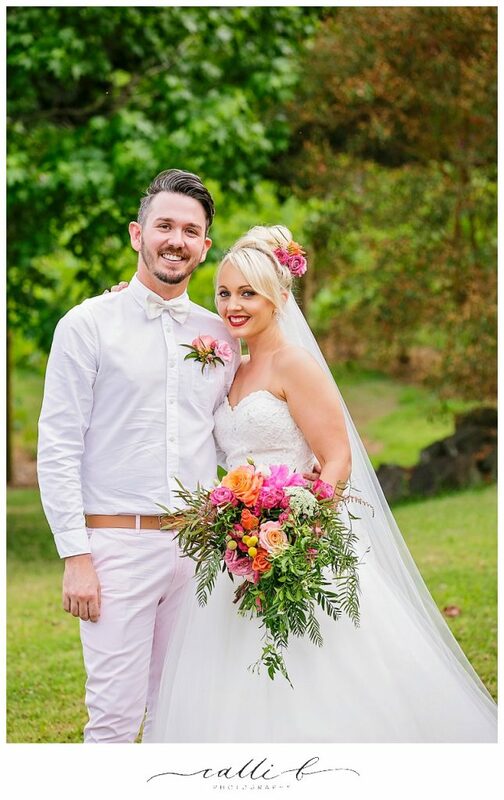 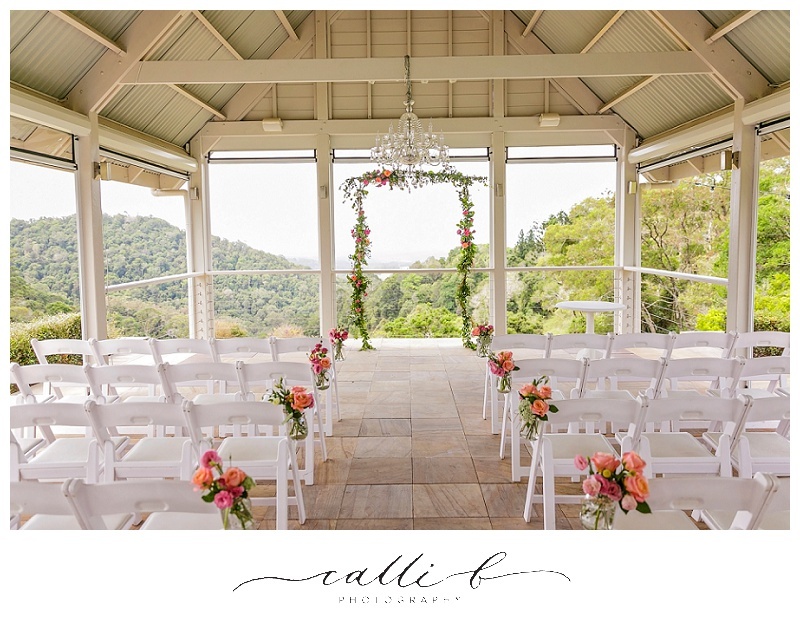 As you will see from this gorgeous wedding flowers concept featured below, colour worked perfectly for Jess and Steven’s bright and beautiful Maleny Manor wedding day. 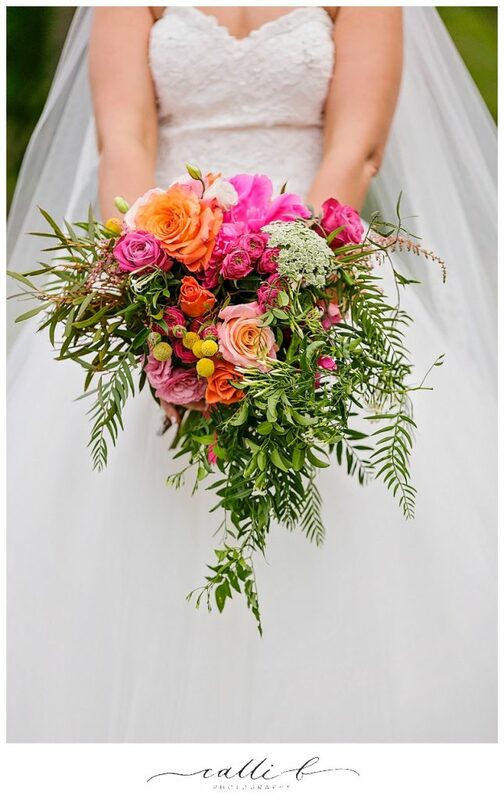 We created an unstructured whimsical bouquet design for Jess and the slight cascading foliages of jasmine and flowering fillers gave movement and body to the bouquet designs. 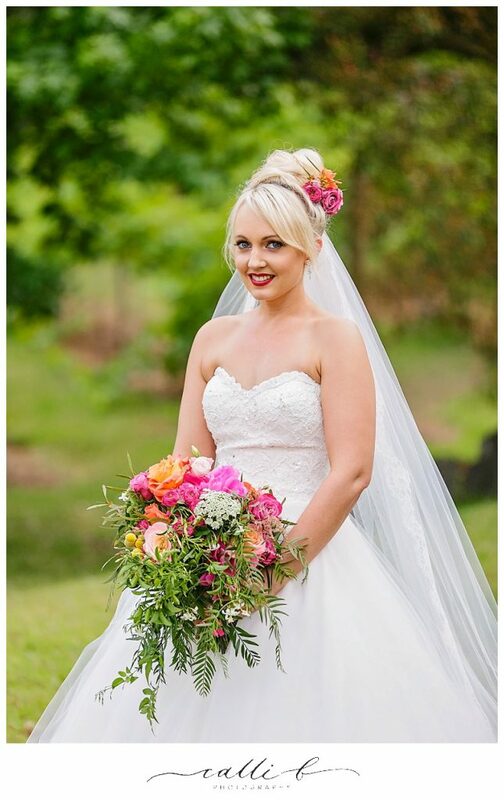 Jess also featured a collection of beautiful blooms in her hair, the perfect way to add that touch of colour and a great opportunity to pick that colour up in your lipstick, the results as you can see were simply stunning, Jess’s bridal look was modern and fresh, her relaxed gardenesque floral concept with pops of pretty colour worked wonderfully in the hinterland space. 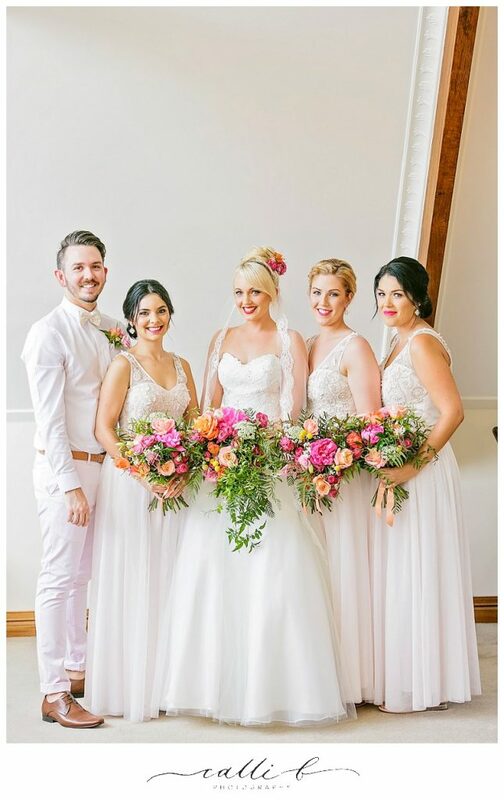 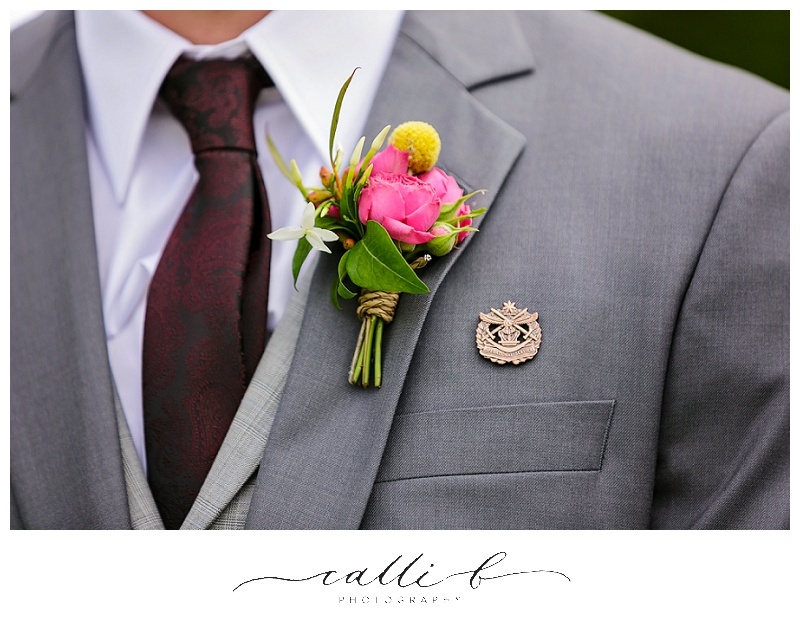 The bridesmaids subtle dress colour worked wonderfully as a base tone with the bright bloom concept. 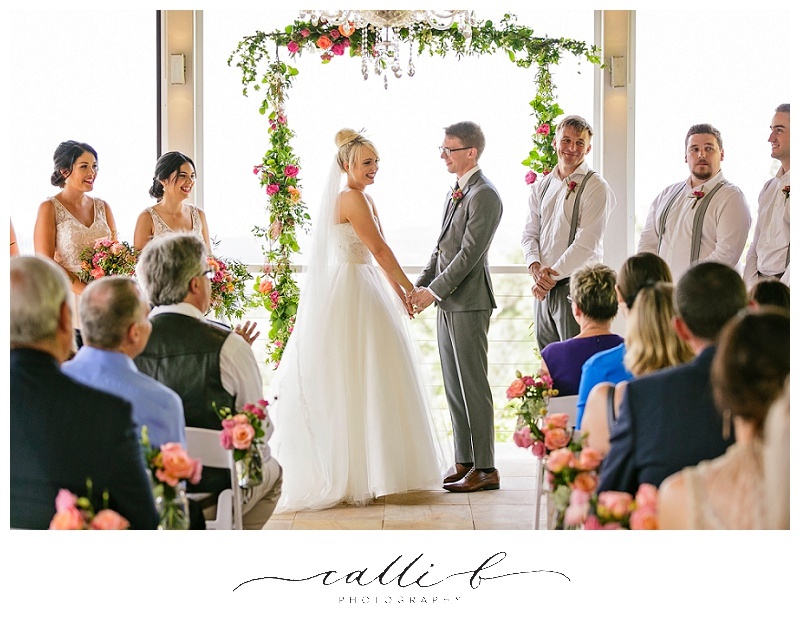 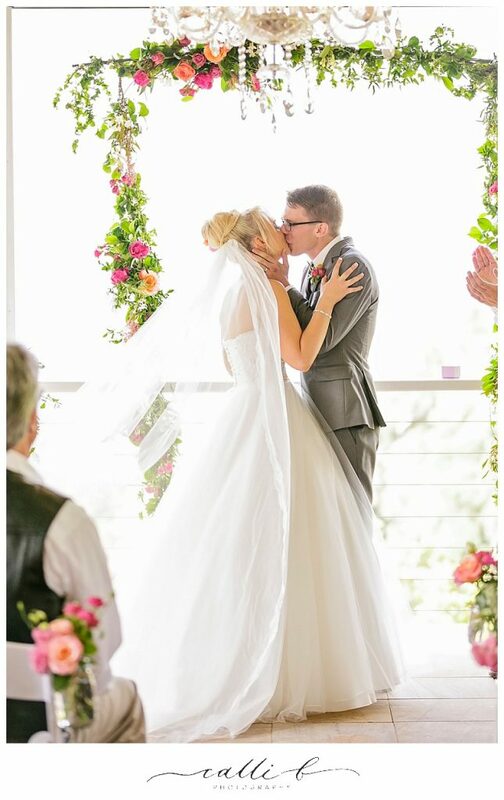 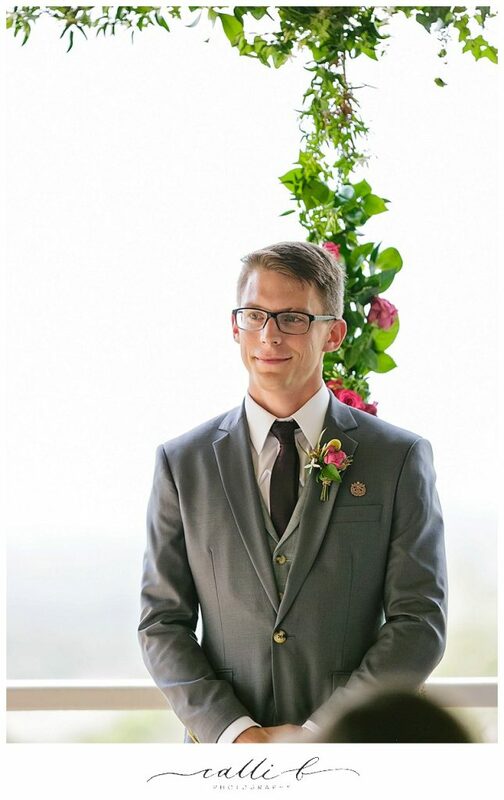 The ceremony featured our pretty hanging garland, swaying slightly in the gentle breeze and adding a beautiful floral touch to the pavilion space. 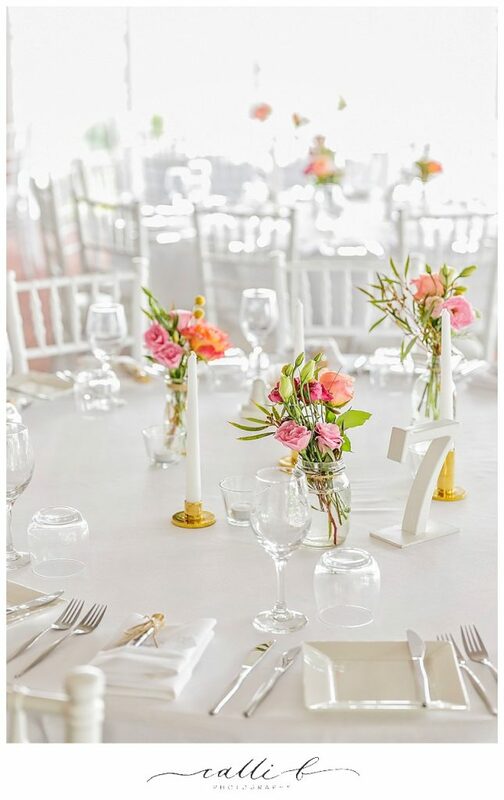 Ceremony jars adorned each aisle chair, and the pops of vibrant colour added a punchy modern styling feel to the gorgeous ceremony space. 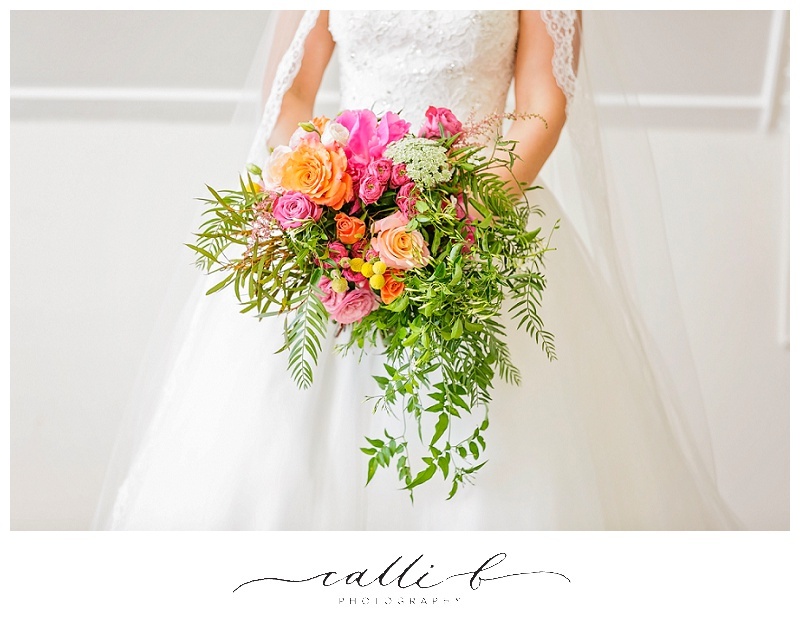 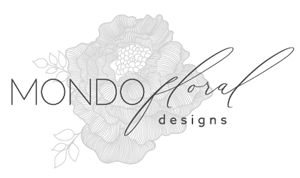 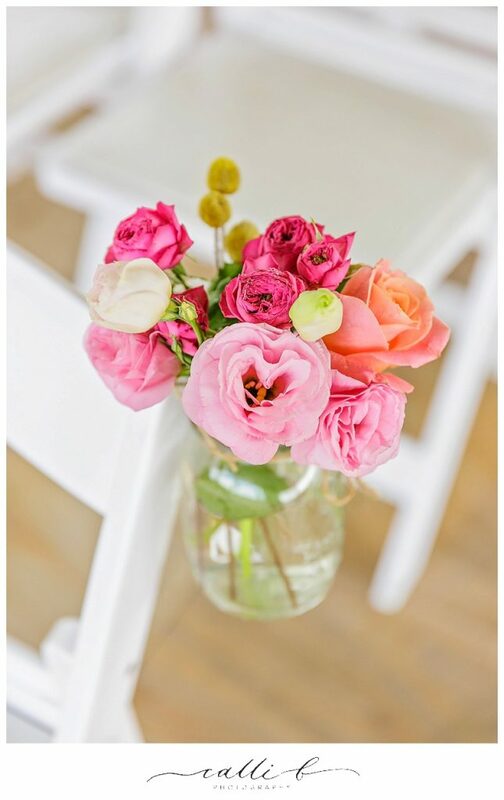 Peonies, roses, Billy Buttons, tulips and lisianthus featured and all combined to create a relaxed and vibrant floral style. 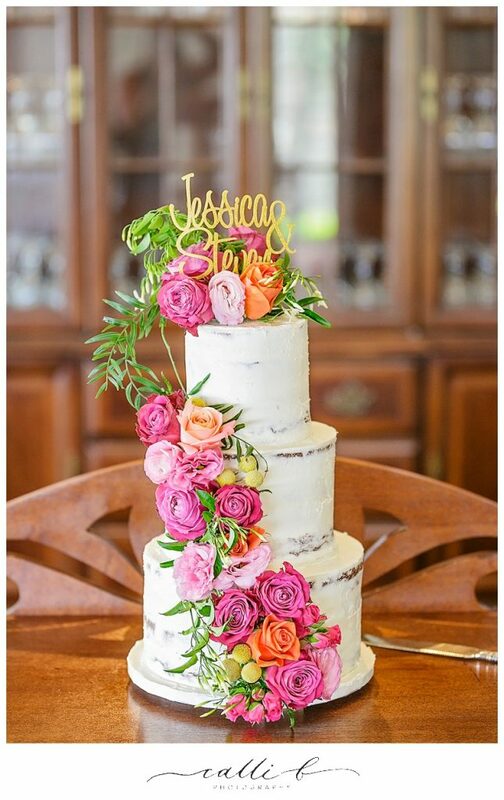 Eclectic French jars featured on the reception tables, and the gorgeous cake created by Ideas in Icing provided us with the perfect opportunity to style up some cake!